Flour Mayhem: Sesame Street Cakes! Someone loves him some Sesame Street. Happy 1st birthday Jackson!!!! 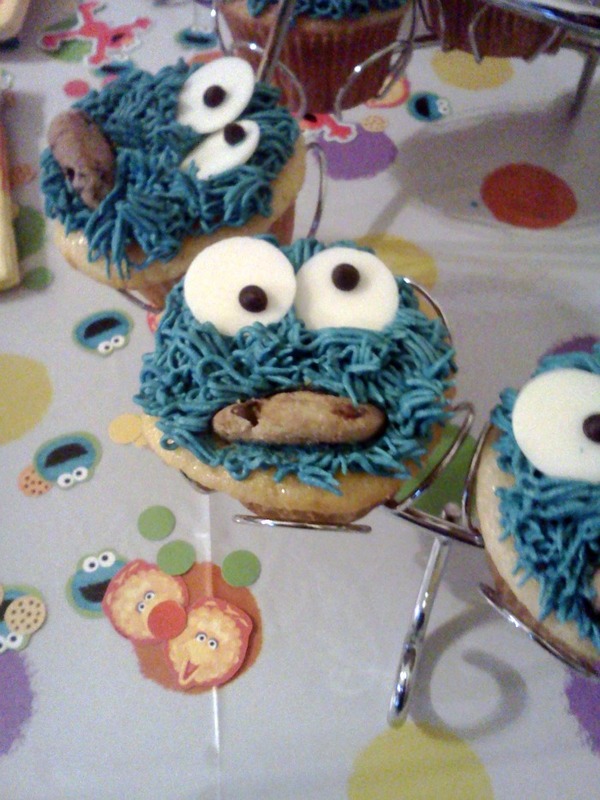 C is for COOKIE!!!!!! Vanilla cupcakes filled with chocolate chip cookie dough cream and topped with vanilla buttercream. The whole gang. 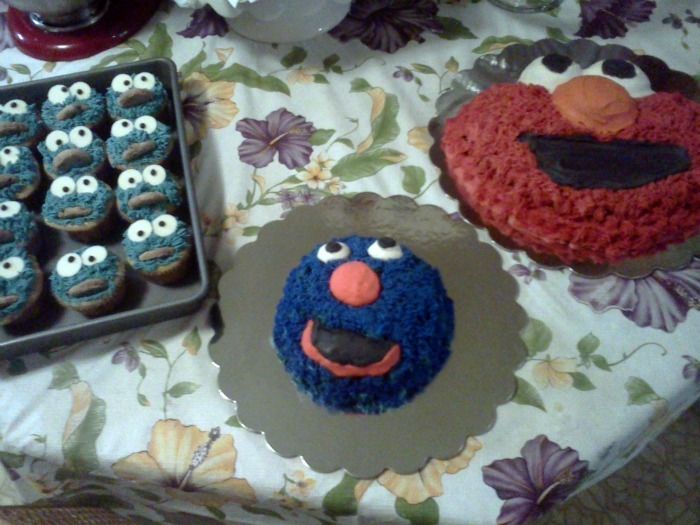 Elmo, Grover smash cake, and Cookie Monster cupcakes. Elmo in pieces!! 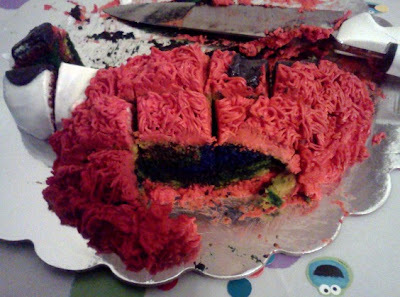 His insides are made of tie dye vanilla bean cake!